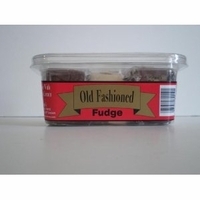 Old Fashioned Fudge in assorted flavors. Chocolate fudge, chocolate walnut, maple walnut rocky road, peanut butter and vanilla. You get 18 individually wrapped 1 oz pieces of old fashioned fudge.